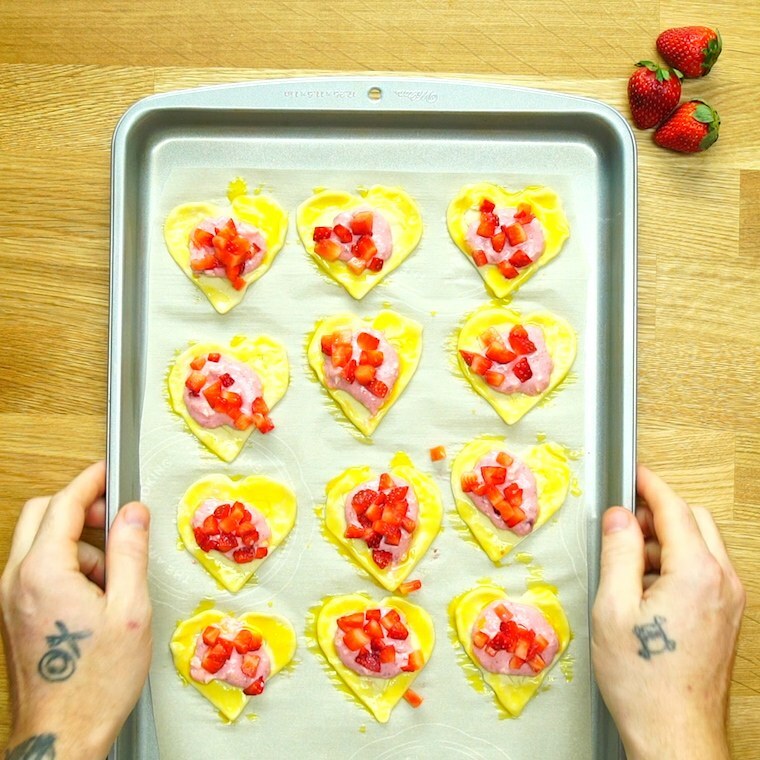 It doesn’t get much better than these Heart Shaped Strawberry Cream Cheese Breakfast Pastries. 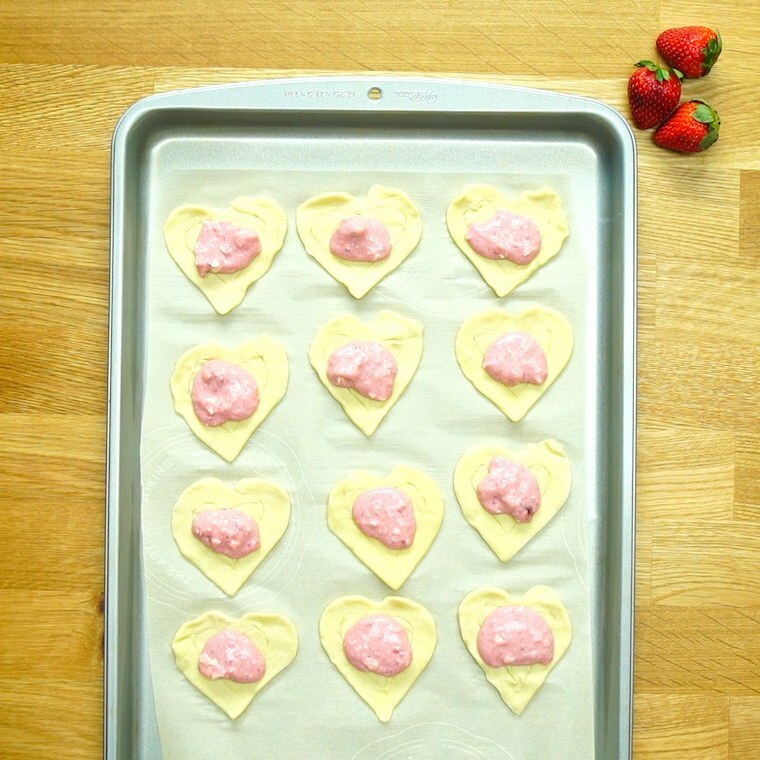 They are the perfect little treat that you are going to love. 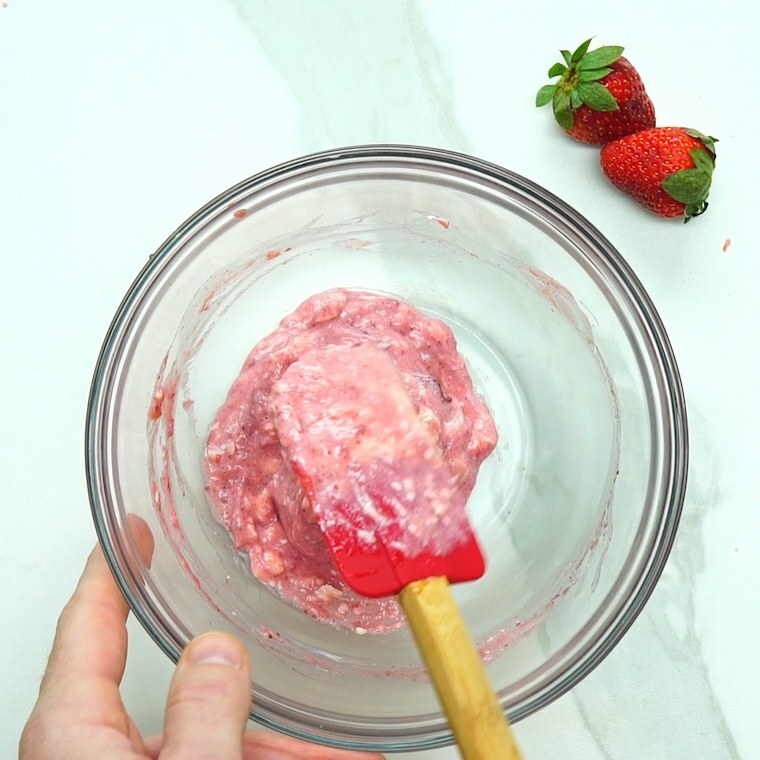 They don’t take long to make at all and are super delicious. 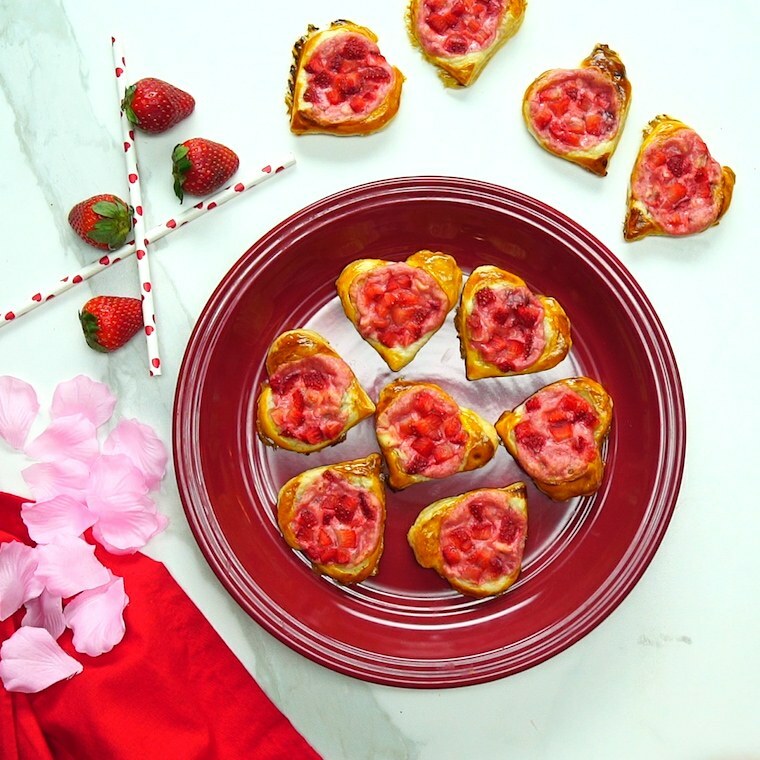 Maybe make them to serve as a breakfast in bed for your loved one or even just for yourself because we all deserve lovely treats any day of the week! 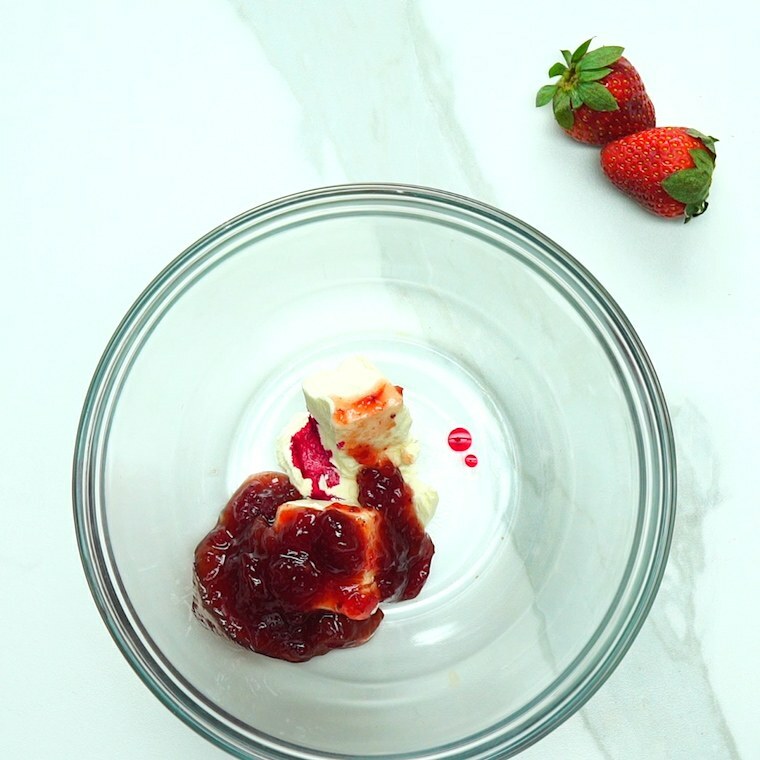 In a bowl, mix your cream cheese with your strawberry jam and food coloring and chill it until you need it. 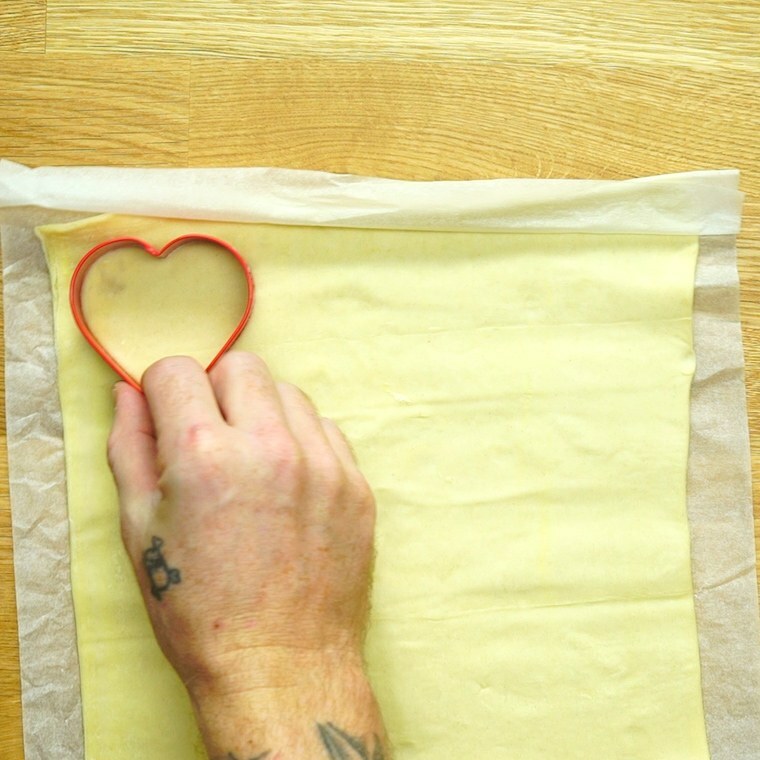 Roll out your puff pastry and use your heart shaped cookie cutter to cut out hearts and lay them on cookie sheet lined in parchment paper. 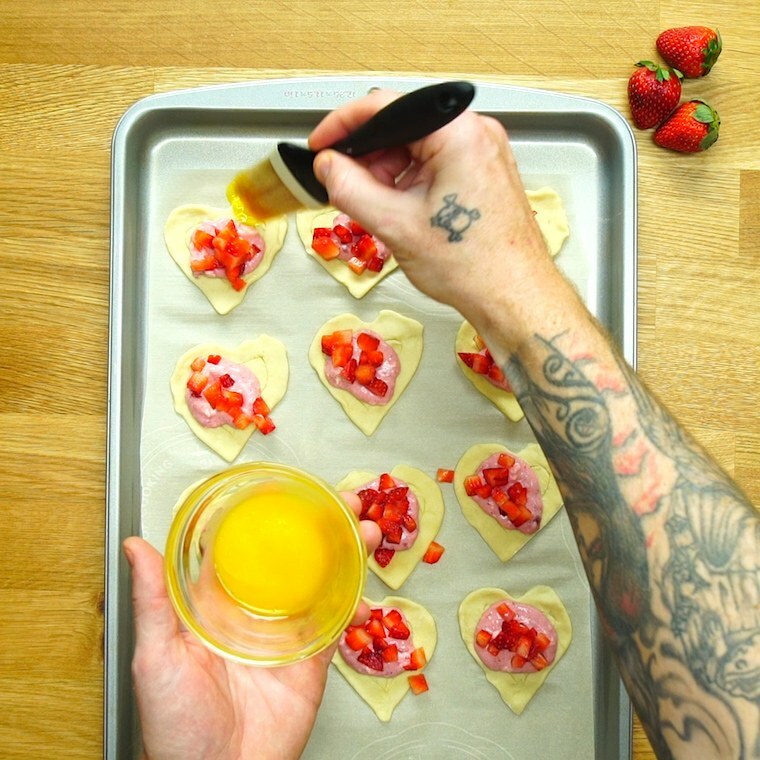 Lightly score the pastries about 1/3 of an inch in from the edge, being careful not to push hard enough to go all the way through the pastry. 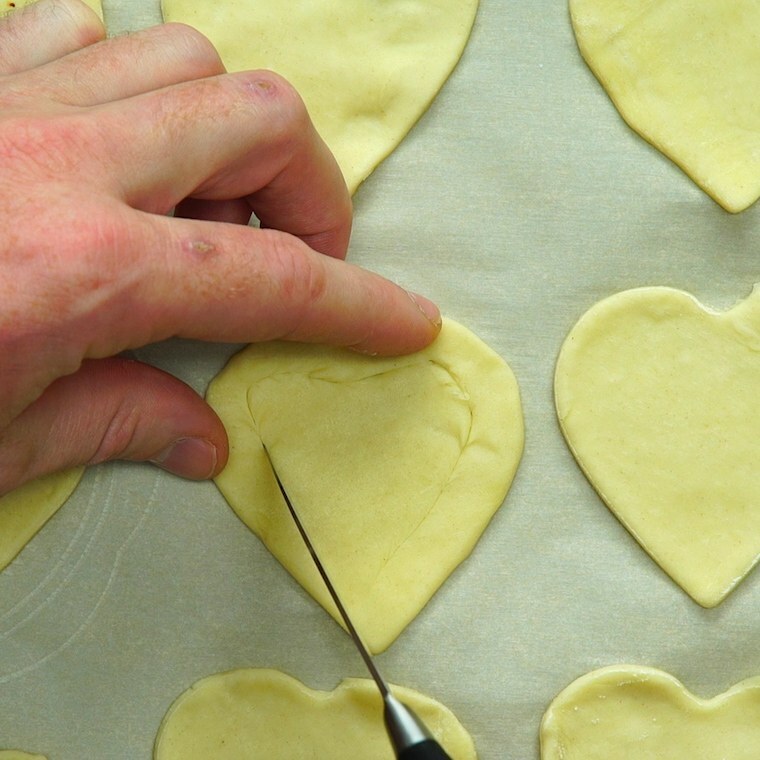 Use about a teaspoon of the cream cheese mixture per pastry and place it in the center of the heart. 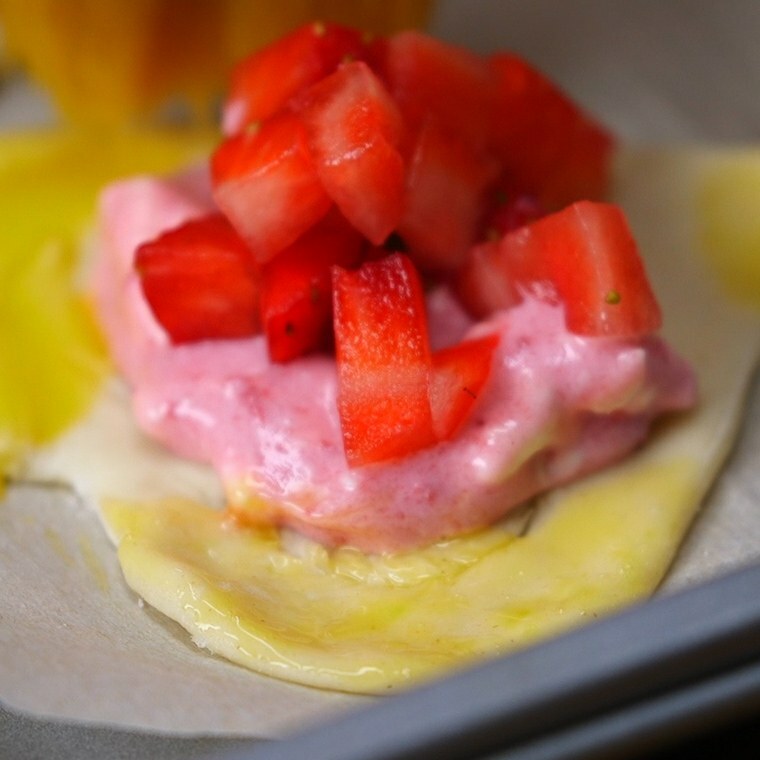 Top each with your strawberries then brush on your beaten egg white around the edges. 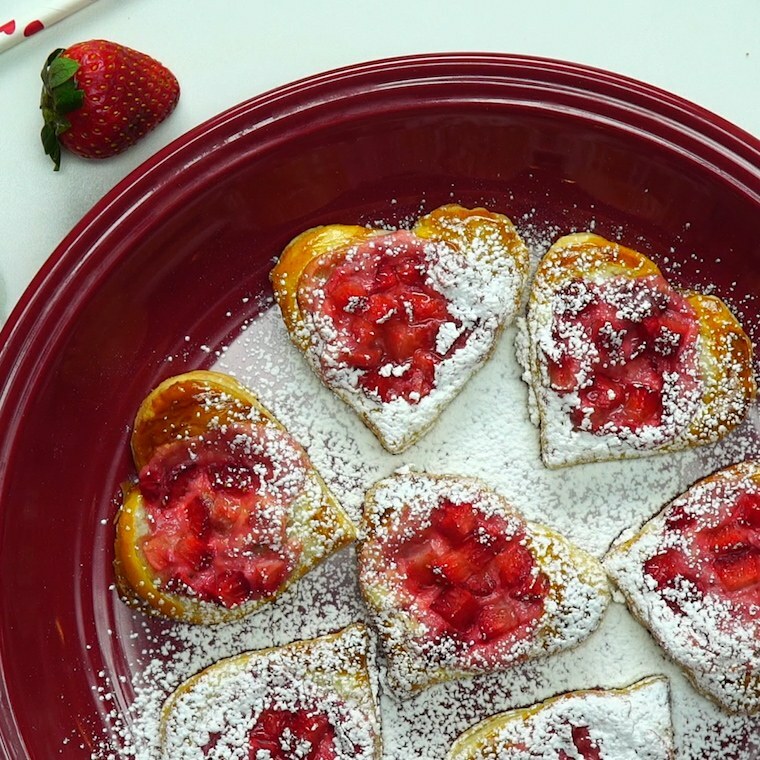 Sprinkle the tops with icing sugar and serve! 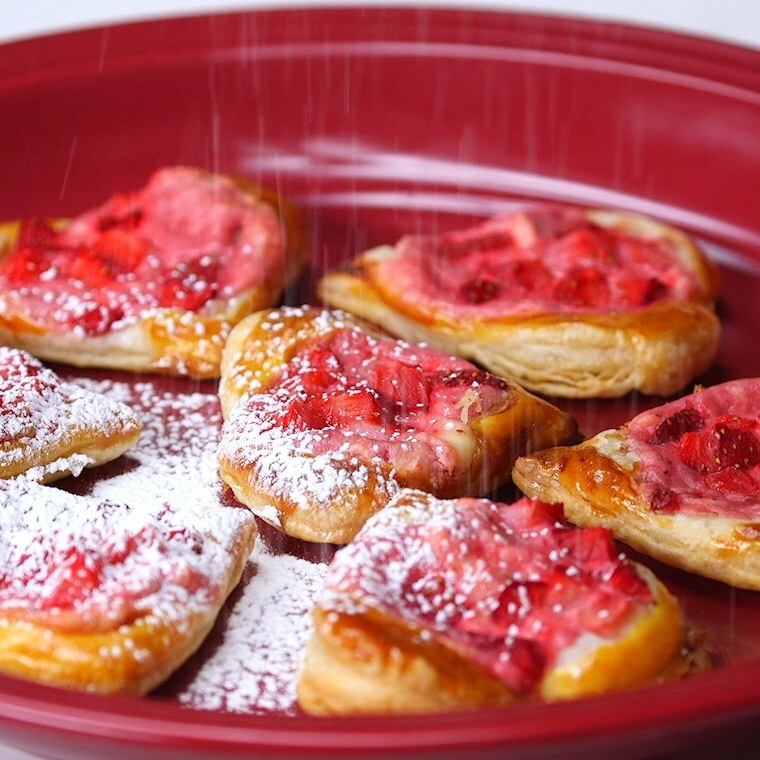 You won’t be able to get enough of these delicious pastries!